For many data center managers, moving your data center assets to a colocation data center may seem like an obvious choice. After all, carrier hotels and other colocation facilities provide data center managers with scalability, reliability, and security for applications, data, and systems—without the pressure to build, staff, and maintain increasingly complex enterprise data centers environments. These benefits, coupled with market expansion into new geographic areas, are driving the growth of the colocation data center at a CAGR of 15.4%. 1. What are your cage/cabinet requirements? Most colocation data centers lease space by size (the square foot or meter), cabinet, or even rack (in a common area of the facility). Some facilities will provide a cage or suite comprised of a fence, mesh wall, or other barrier with an entry point surrounding a certain number of square feet/meters or cabinets. To determine which setup best meets your needs, however, you need to first identify which assets and applications you will house in your colocation space. You then need to ensure that you have enough space, power, and network capacity to operate your assets within the specifications stated in your colocation data center Service Level Agreements (SLAs). If you’re providing your own equipment, you need to ensure that it meets your colocation data center provider’s specifications. Consider using data center software to determine where to place your assets in your colocation space. Building out your colocation data center cabinets in Data Center Infrastructure Management (DCIM) software with elevation views will not only help you plan the space but also reduce the risk of inaccurate data center capacity planning. 2. How will you track power, cooling, and network connectivity utilization? As noted above, data center capacity management is about more than just floor space; it also requires data center power, environmental, and network monitoring to ensure that you have sufficient resources to operate your equipment in a safe and cost-effective manner. In a colocation data center facility, the costs for power, cooling, and cabling may refer to only the power and data circuits and CRAC/chillers themselves. The power utilization and other usage of these components may be billed separately. Redundant power (A+B) configurations and high-density racks may require an additional cost as well. As a result, it’s important to use DCIM solutions or other data center monitoring tools to track data center energy consumption and power management to keep an eye on your usage and what you are being charged. Data center monitoring software used in conjunction with intelligent PDUs can help you collect data from power outlets, servers, environmental sensors, and other sources to get a complete picture of what you are using to operate your colocation space. Data center power monitoring is also critical for trending usage and forecasting capacity. Once you know the facility’s standard density and temperature specifications (which may vary across colocation data center providers), you can set thresholds in your data center software to send notifications for warning and critical threshold violation events. 3. How will you confirm that changes to your colocation data center assets are made accurately? Tracking and executing changes on time and as specified will be a critical part of your colocation data center asset management. At some point, you will need to provision additional capacity, consolidate your data center assets, or complete maintenance. Many colocation data center providers include rudimentary ticketing systems as part of their managed or remote hands service. Customers submit a ticket for colocation data center technicians or subcontractors to make the requested changes. 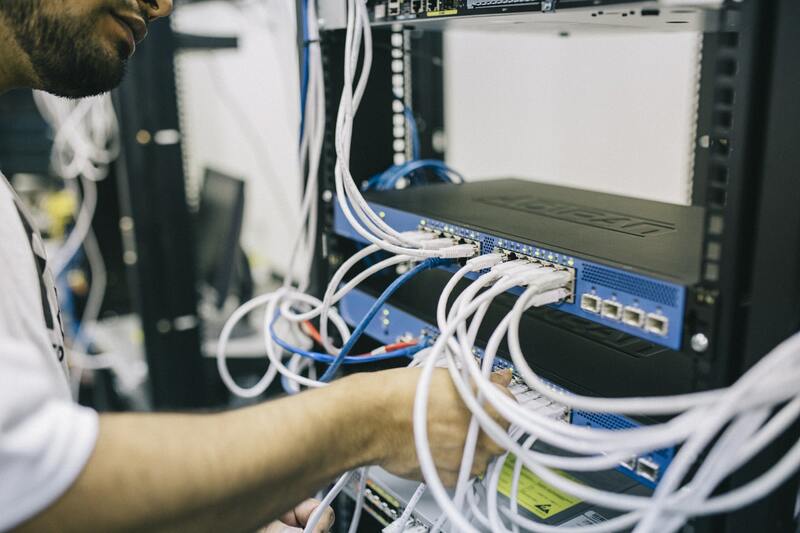 Remote hands services are typically available for common data center activities, such as rebooting devices, verifying cable connections, and inserting USB drives for firmware updates. Your data center software should be able to integrate with your third-party ticketing system to track work orders and change requests and to retain their history for auditing purposes. However, a comprehensive DCIM solution can provide an alternative: remote management capabilities that enable you to take care of your most common daily tasks yourself. With DCIM software, you can power cycle intelligent PDUs down to the outlet level, remotely update passwords, community strings, and other information, and test connectivity—even without being onsite. 4. How will your colocated data center assets be secured? Security is paramount in a colocation data center. With multiple customers in the same facility (and sometimes in the same cabinet), it’s critical to ensure that only authorized users can access your equipment. Most colocation data centers maintain an access list for each customer that provides the individuals who are allowed access to that customer’s equipment. Additionally, cabinets are locked and may have closed circuit TV (CCTV) cameras or webcams to monitor who accesses each customer’s areas. Access may be controlled via card readers or manual locks. Customers may have limited access to audit logs, or they may need to request that their colocation data center providers authorize audits before conducting the audits themselves. Using DCIM software, access controls can be managed down to the door locks in your colocation data center. Using granular role-based permissions, you can assign RFID access cards and specify which users can lock and unlock cabinet doors. You can track who goes in and out of your space using surveillance feeds and audit reports accessible through the software. Each access request also can be captured in your data center software’s audit log. This information can be especially important to prove that you are complying with specific industry standards or company requirements. Integration with LDAP and other user directory protocols provides an additional layer of security while streamlining user management. 5. How will you ensure that your colocation data center provider is meeting SLAs? Most colocation data center providers will have SLAs for everything from uptime for redundant power to allowable average room temperature ranges to network availability. Data center professionals who are managing colocation services need to ensure that colocation operators are meeting SLAs or that they are providing credit for any lapses. That’s where DCIM software can help. While some colocation data center providers provide basic data and analytic capabilities, second-generation DCIM software provides capabilities around data center business intelligence and analytics needed to track the relevant metrics. What metrics should you focus on? Key Performance Indicators (KPIs) for colocation data center management might include month-to-month total power, actual active power, and temperature and humidity by cabinet at daily, weekly, monthly, or yearly granularity. You’d also want to track the time to complete work orders and other change request transition metrics. DCIM software can provide this information and more via interactive dashboards and exportable reports for you to share with your team, management, and colocation data center provider in case of discrepancies with what is reported by the colocation facility. Moving to a colocation data center can deliver a wide range of benefits to simplify your data center management. However, it’s still important for data center managers to consider their requirements and to leverage the appropriate data center software to keep an eye on their colocated assets. Answering the questions posed in this blog post can help you identify best practices and make informed decisions to ensure the success of your colocation data center move. Want to see how Sunbird can help you manage your colocated data center assets? Take our DCIM software for a test drive today.